Bespoke installations are a common feature of elevator installations, so efficient links to CAD designs and the ability to work with ERP and MRP systems is very important to these companies. Lantek Expert software enables companies to easily import CAD data and bills of materials and, in the latest version work with pdf files. Users can then nest parts according to daily changing requirements taking account of factors such as shortages and last minute design modifications. Its experience in the industry allows companies to maximize material utilization including management of remnants and, irrespective of the make and model of metal cutting machine, optimize performance, making full use of the individual characteristics of each machine such as chutes, robot handling, special form tools and fly-cutting on a laser, where the beam is turned off and on eliminating the need to accelerate or decelerate the machine head during cutting. Highly accurate, predicted machining times make it easy to calculate accurate costs, ensuring that profitability is at a maximum. To close the loop, Lantek offers systems to manage the complete manufacturing process. 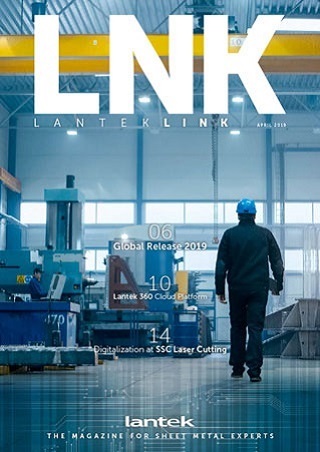 Lantek Wos and Lantek Workshop Capture provide data collection on the shop floor keeping track of the status of jobs and machine performance, while other modules control customer relationships and sales performance, stock control, warehousing and purchasing. These modules are designed to deliver maximum profitability and minimize administrative effort, creating a truly agile, transparent and integrated manufacturing environment.